Fall Leaves #2. More fall leaves! 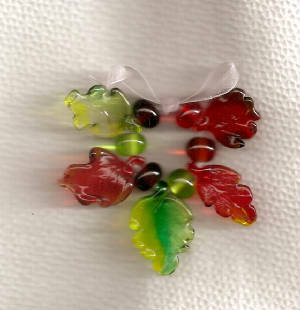 Set of 5 leaves and 6 "filler" beads -$18.00 for the set of 11 beads. 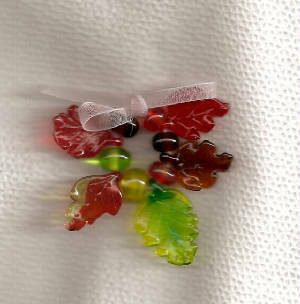 Varigated green leaves- A set of 4 varigated translucent green leaves. 5/8"-3/4" wide by 1-1/4" long. 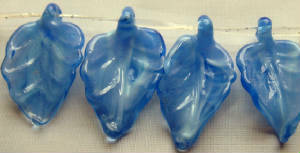 These would make great stitch markers or neat earrings. It's all up to you! Price: $6.00 for the set.